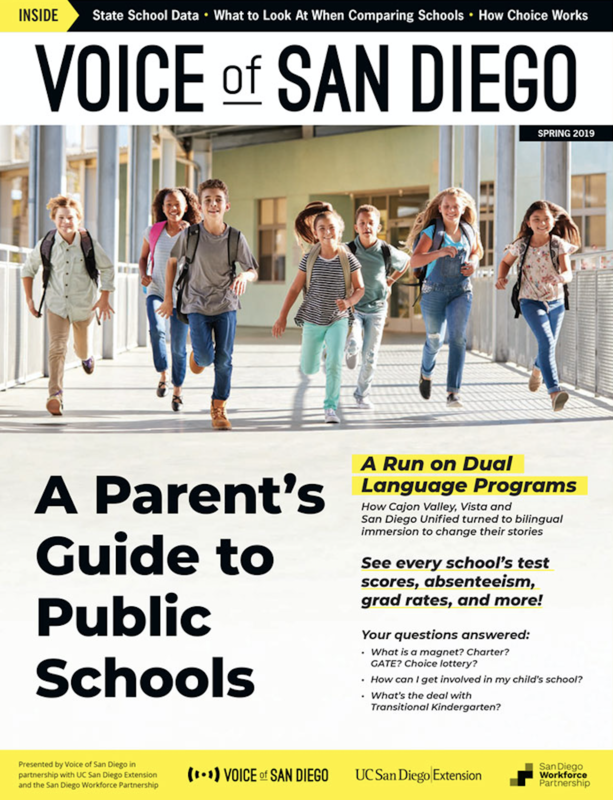 Voice of San Diego is pleased to publish the 2019 edition of A Parent’s Guide to Public Schools. The guide was created to provide a tool for families to use when making decisions about a child’s education. Not only does it provide an overview of every public school’s performance in easy-to-read charts, the guide also answers questions about local public school options, including information on school choice, charter schools and transitional kindergarten. It also showcases several innovative approaches some schools are trying, and includes a checklist to support you as you explore your options. Find schools: Click to view our interactive map and filter for special distinctions, charter schools, dual-language opportunities and more. Or download a copy here. It’s available in English and Spanish. We’ve also created an interactive map that allows you to explore schools by geographic location. The map incorporates the school data from the guide. We will be hosting community meetings to answer your questions about the guide and K-12 education in San Diego County in general. Mark your calendar and tell your friends. Most of the data in the guide comes from the California Department of Education as of December 2018. We included demographic information about each school’s students, like the percent of students who are eligible for free or reduced lunch, which is a commonly used indicator of poverty in education. Other data comes from the state’s new California Schools Dashboard, which reports information about the level and trend-line of the test results of each school. We’ve taken the step of converting the state’s color codes to special symbols. And owe have also indicated which schools offer popular programs like dual-language immersion and the International Baccalaureate program. You can download the raw data here. Laura Kohn, the director of Communications and the Center for Local Income Mobility at the San Diego Workforce Partnership, was instrumental in pulling this together. 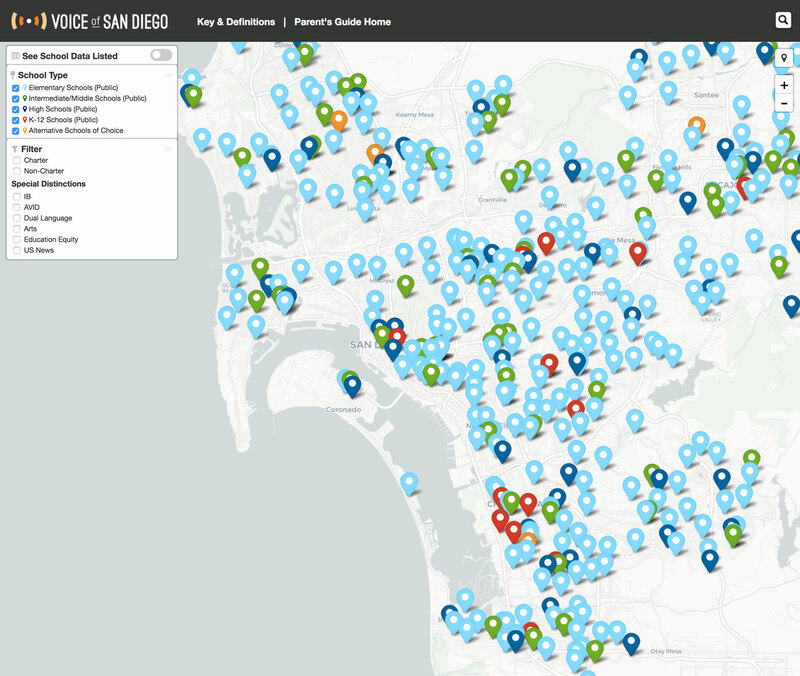 UC San Diego Extension’s Center for Research on the Regional Economy helped us organize the data. Map and data visualization was done by Ashley Lewis. If you have questions or comments about the guide, email info@voiceofsandiego.org. We look forward to your feedback.